An 8 foot tall Basketball hoop with a 36" basketball. This is a fun add-on to any party. It isn't as easy as it seems to core 2 points with this this hoop. 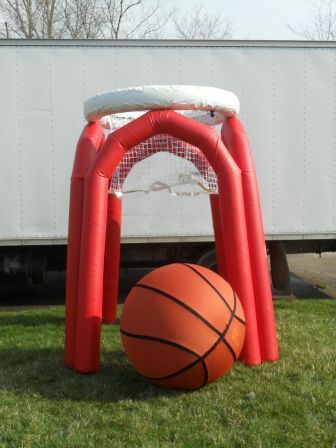 Inflatable sports game available with other rental.